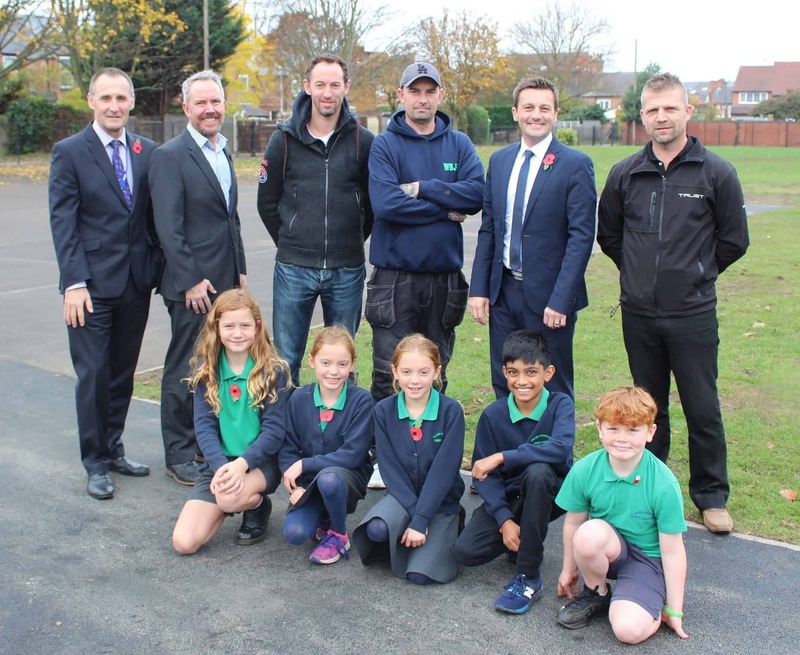 West Bridgford Junior School’s dream of an all-sports grass pitch for its students has been made a reality thanks to four local businesses and a parent-backed crowdfunding campaign. The idea of a new multi-use pitch was conceived when the school’s year six football team enjoyed national success earlier this year at Coventry’s Ricoh Arena in the English Schools’ Football Association Danone Nations Cup. However, with no grass area to train at the school, the four local businesses decided to lend a helping hand. Rushcliffe Fencing installed a mesh fencing at one end of the pitch to make the area as safe as possible, Trust Utility Management undertook all the piping and drainage for the site – a very complex part of the project – and Thomas Bow supplied the surfacing. Steve Arnold, head teacher at West Bridgford Junior School, said: “We are all overjoyed with the support we have received from these local businesses and the community. Sporting activities not only promote physical health but also help to encourage the development of values such as team work so the students are going to really benefit from the new facility.